With 3 decades of building in the Hilton Head area, we have crafted more than 300 custom homes -- many more than most builders would even dream of. And while it sounds like a lot of homes, it's only an average of 10 per year. At McNair, we believe in crafting each home with unparalled quality to meet the specific desires of each home owner. We do not believe in a mass-produced/mass-customized approach. Each home is special. Each homeower is unique. And each receives our full attention and our experiences drawn from building 300 truly custom homes. Below is just a current sampling of our homes. We hope you enjoy viewing them as much as our owners enjoy living in them. This beautiful custom home was constructed in 2011, has 4 bedrooms, and a total of 5,171 square feet. 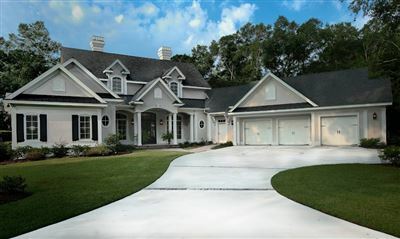 This home won a 2012 LightHouse Award from the Hilton Head Area Home Builder's Assocation. This lovely 4 bedroom, 4.5 bathroom home is based upon McNair's Islander floor plan. It has a total of 3,805 square feet. This home was constructed in 2011 and has 4 bedrooms in 3,952 square feet. 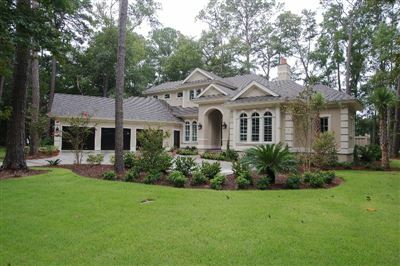 This beautiful home is based upon McNair's Palmetto floor plan. Built in 2010, this large home has 6 bedrooms and 6,698 square feet. This spacious home is based upon McNair's Palmetto plan. It has 4 bedrooms and nearly 4,000 square feet. 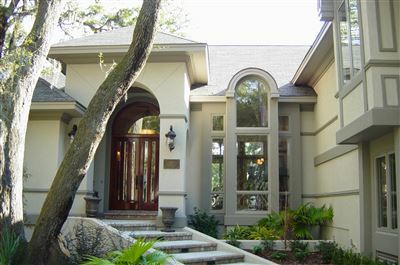 This home won a 2012 LightHouse Award from the Hilton Head Area Builder's Association. This beautiful home was built in 2011, has 3 bedrooms, and 3,970 square feet. It is based upon McNair's Palmetto floor plan.